Divorce is costly, but follow these steps to avoid financial surprises. 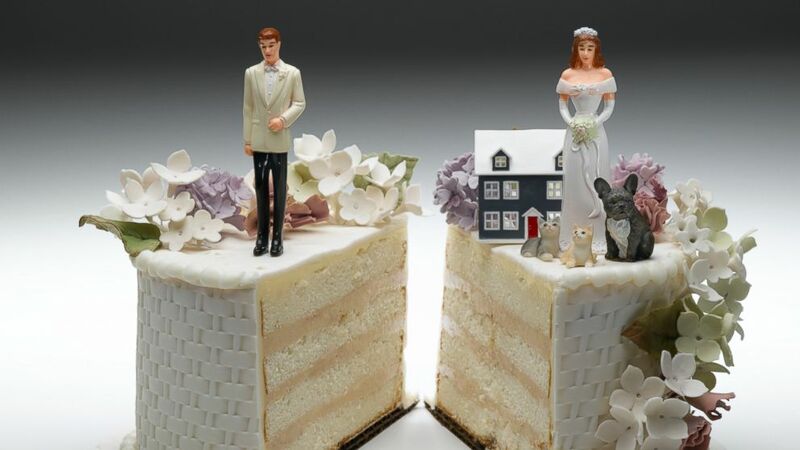 camera (Getty Images) Divorce is expensive, and making money mistakes along the way can make it even more costly. Divorce is costly. It can take a lot from you emotionally and, of course, financially. We can't offer advice on how to protect your heart, but there are some steps you should take to protect your finances. Even if you harbor hopes of reconciliation, as soon as a divorce is decided, you want to eliminate the chance for financial surprises. (If you separated before deciding on a divorce, you may have done some of these things already.) Close joint accounts, credit cards and other lines of credit as soon as possible. You don’t want to be stuck paying for debts racked up after the decision but before the divorce is finalized. Establishing your own accounts and credit cards in just your name will also help you keep control of your credit. Consult an attorney on your own to make sure you are taking the right steps. Even if you and your spouse are still on good terms, it’s a good idea to have an expert help guide you through the process. Since you share personally identifying information (like your Social Security number and birth date) with your spouse, you may also want to monitor your credit to ensure no accounts are opened in your name by your soon-to-be ex. You can monitor your credit scores using tools on Credit.com, which update two of your scores monthly. Any major, unexpected changes in these scores can signal a possible identity theft and you should pull copies of your free annual credit reports immediately. Every marriage has a different financial dynamic. Whether you split the duties, do them all or don’t look at them, from now on you need to take the reins in financial management. It’s important for you to understand your financial situation. You’ll want to learn about the different accounts you have. In an amicable divorce, this can be as simple as sitting down for a discussion. But if you are not getting cooperation from your spouse, look over past tax filings and personal records to determine what money there is and where it is kept. You want to have the big-picture view of your finances – including debts and assets. This helps ensure things will be divided up appropriately and that you can best make decisions moving forward. A lot of questions come with divorce such as what will happen to your current home and where you will live in the future. Will you sell the home you shared? Will you buy or rent your next home without your spouse? You want to make informed decisions. Look over those life insurance policies and retirement accounts you opened long ago. If you had your spouse listed as a beneficiary, you’ll likely want to change that. Ensure that your financial documents reflect your wishes for your life after divorce. It may be tempting, especially if you are an injured party, to want revenge. One way to exact revenge is to make the process difficult or fight about every penny. But delaying the process can run up big legal bills on both sides and either drain your joint resources or put you both into debt. Whatever the results of your divorce settlement, you need to take control of your own financial situation. Make a new budget to reflect your new situation. Living in denial and not accepting your new reality can prolong the pain. Be frugal while you regroup both financially and emotionally.